Galvanized Steel Fixed Louvers from Ametco are offered in steel and stainless steel designs that provide 80% and 100% direct visual screening while still providing air circulation. 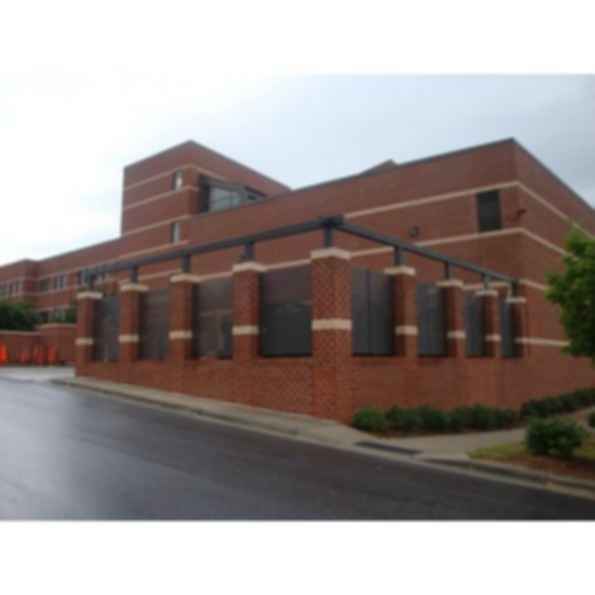 Steel fixed louvers are perfect for equipment enclosures, trash enclosures, roof top screening and parking garage applications and are fabricated from electro-forge welded steel. Shadow 80 Louvers - Provides 80% direct visual screening. 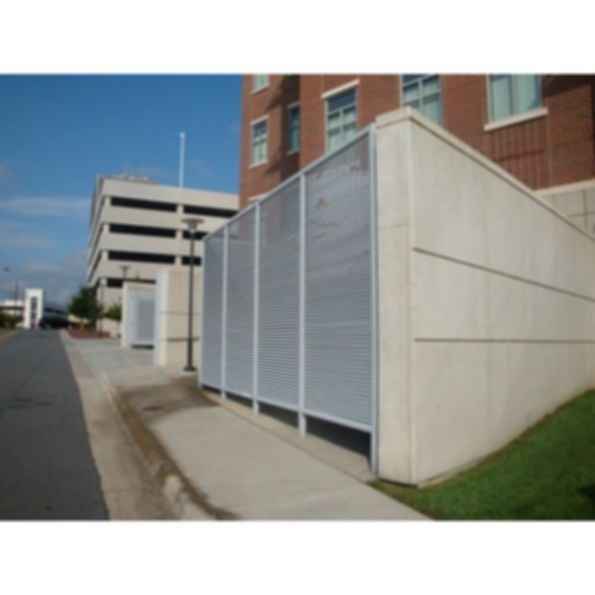 Shadow 100 Louvers - Provides 100% direct visual screening. Ametco's steel fixed louver systems are aesthetically pleasing and the strongest on the market today. The Shadow 80 Steel Fixed Louver provides a comfortable amount of visibility and ample air flow. The weight per square foot for the Shadow 80 Steel Fixed Louver is 2.84 lbs. 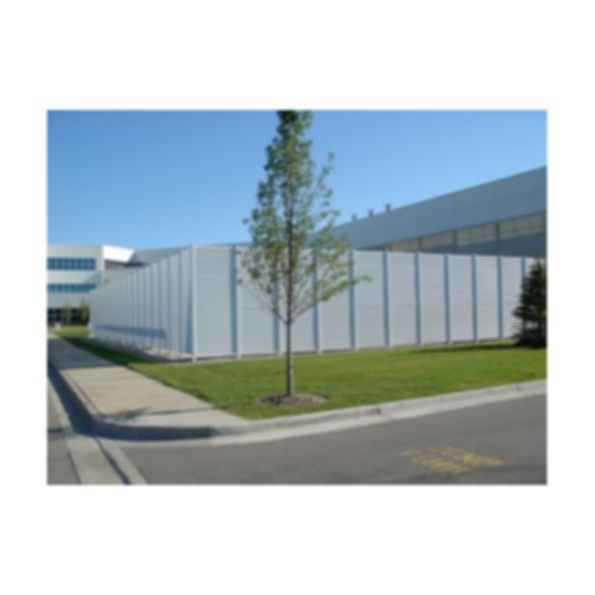 The Shadow 100 Steel Fixed Louvers allow fresh air into the building while providing the security of 100% direct visual screening. The weight per square foot for the Shadow 100 Steel Fixed Louver is 3.50 lbs. If your louver requirement is for widths from 1 foot to 500 feet, call Ametco and have one of our sales engineers design a solution for you. 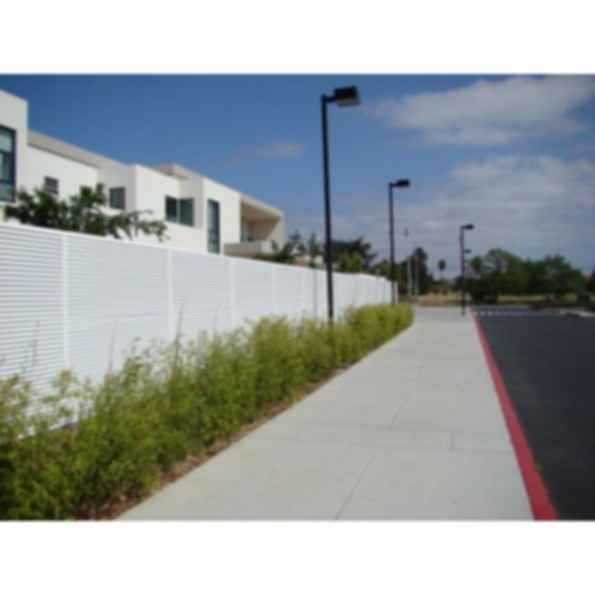 Ametco also manufactures a full line of Aluminum Fixed Louvers.